If you search Fish & Bicycles for the word “Halloween” and read the posts you find, you’ll discover that Halloween is a very special day for me and my family. Well, I’m battling a nasty cold today, so I thought I’d just re-post my very first Halloween entry, from 2009, on this, my son Julian’s 15th birthday. 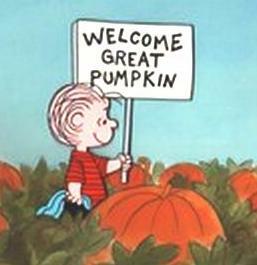 12 years ago today, the Great Pumpkin, not the stork, delivered a tiny, orange-headed baby boy to our doorstep. Having a child born on Halloween, especially one with wild, curly orange hair, is an adventure to say the least. Whatever your relationship was with the holiday before the baby was born, that relationship will be forever changed. 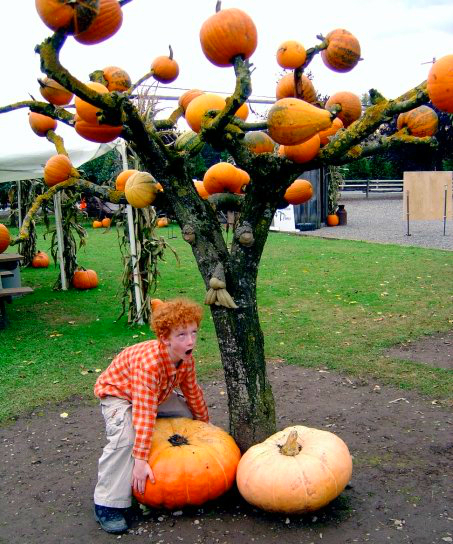 Here’s our pumpkin with his fellow pumpkins back in 2006. Don’t like dressing up in costumes? Not crazy about candy? Don’t fancy going door-to-door with a group of kids who ARE crazy about candy? Literally? Crazy? Well, too bad, cupcake! Are you really going to break your child’s heart? Fortunately, I had no aversion to Halloween, and it’s been 12 years of fun. But, even though the birth of our son was the catalyst, besides delivering the baby in heroic fashion, it’s been my wife who has delivered wondrous gifts of creativity, decorating the house, carving pumpkins, coming up with unique costumes, and throwing fabulous parties. Wait a second! Maybe my wife IS the Great Pumpkin!